Sarah Tenanty Is the Financial Operations Lead for Zurich General Insurance in Ireland. Sarah entered the world of work after completing year one of a Level 8 Accounting and Finance degree at Dundalk Institute of Technology. She has completed her Professional Diploma in Insurance and is currently studying for her Management Diploma in Insurance. 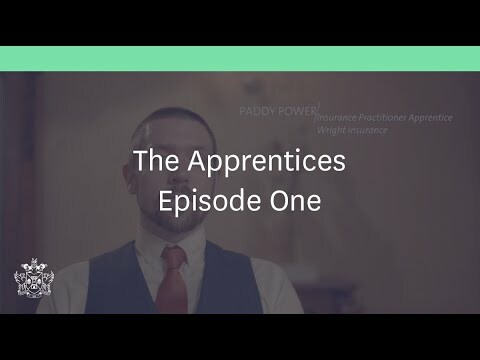 In 2007, after completing my first year of a Level 8 Accounting and Finance course, I decided that this particular course was not for me - instead I opted to enter the world of work. I applied for a job with Zurich Insurance Dublin in June 2007 and was successful in my application. In September 2008, following the announcement that Zurich were transferring some business areas to County Wexford, I decided to relocate with my role after considering the career opportunities on offer. This was one of the biggest decisions I have had to make in my career but it was worthwhile as it opened new doors within the company for me. My parents have always encouraged me and been very supportive of my career. They have always set a good example for me and my siblings – living by the motto that hard work pays off. Since starting my career over 8 years ago, I have found that the people that I have worked with have supported and guided me. There have been specific people managers along the way who I have admired and tried to emulate in terms of their work ethic and approach. Prior to my current role, I was team coach of the Finance Operations area for three years and when the opportunity for promotion arose, I put myself forward. I completed an interview with the Operations Manager and one week later I was offered the position. My predecessor had over 40 years’ experience and I was very lucky to have him as a mentor. With his guidance and support, I felt I was ready to take on the challenge. No two days are the same but my typical working hours are from 8.30 – 5.30 each day. I compile a “to-do” list every evening before leaving the office and I prioritise what needs to be done each morning. My days would mainly consist of making /receiving phone calls and sending/receiving emails, attending meetings and interactions with my team. I very rarely get through all items in any given day and for that reason prioritisation of tasks is key. - Primarily responsible for collecting premiums from customers and intermediaries and tracking the reduction of overdue debt. - Daily, weekly, monthly & quarterly reporting. Developing and implementing continuous improvement initiatives and projects. -Internal & external stakeholder management. - Overseeing application of cash to business, execution of business requested payments through our banking partners, management of transactional banking services, bank reconciliation of bank and control accounts and direct debit default handling. - Our team are also responsible for receipt and processing of supplier invoices for business expenses, management of supplier data and payment of business travel and employee expenses. 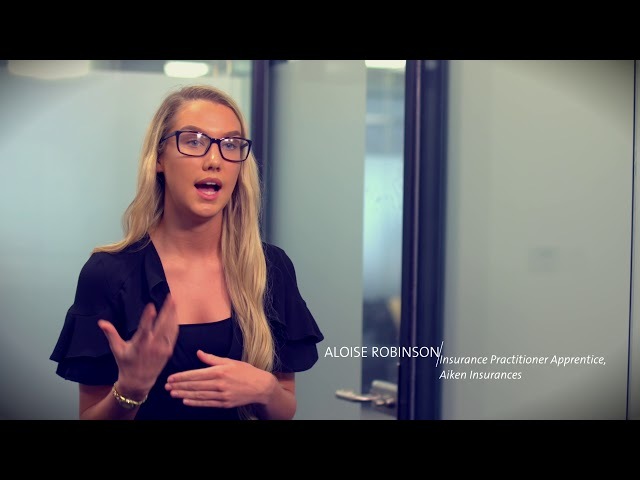 The insurance industry is a very fast paced environment and my biggest challenge is that there are never enough hours in the day. Reward and Recognition play a big part in the culture of our organisation where success is celebrated and high performance is recognised. Several initiatives have been introduced such as Employee of the Month, Silver/Gold awards etc. which instils a culture of high achievement across all areas. There’s always room to improve administration and processes - some of the activity is non-value add to our customers and consumes a lot of our time each day. I would consider myself quite organised, solution focused, a team player and a good decision maker. I studied the required subjects such as Maths, English, Irish and opted for Accounting, Business Studies, French and Home Economics. I really enjoyed working with numbers and Business Studies gave me a good foundation of what to expect in the working environment. Accounting and Maths were my favourite subjects and they had a big influence on my course choice. I attended St.Louis Secondary school in Carrickmacross, Co.Monaghan. Upon completing my leaving certificate, I studied one year of a three year Level 8 course in Accounting & Finance. Further education opportunities came when I began working in Zurich Insurance – I have completed my Professional Diploma in Insurance (CIP) qualification with The Insurance Institute of Ireland (funded and supported by Zurich) and I am currently working towards my Management Diploma of Insurance (MDI). I am very proud of what I have achieved in my career to date, in particular my promotion to Finance Operations Lead. Being given the opportunity to further my education and the recognition awards I have received stand out as the personal highlights. I am a very hard worker who takes feedback in a constructive way. I am good communicator who leads by example and as a people manager this is crucial. My dream job tends to change quite regularly…from a young age I had wanted to be a primary school teacher. I’d probably say that my dream job would have to involve working with people, give me a good work/life balance and a lifestyle that makes me happy. With hard work always comes rewards and I feel my current role allows me to have a good lifestyle. Although my days at work can be quite long and demanding, I have every weekend free to spend with my family and friends. I have sociable working hours and my commute to the office is less than ten minutes. In my current role, I have also had the opportunity to travel to countries such as Switzerland, Germany & the UK. Working for a large multi-national like Zurich gives me great job security along with an excellent benefits package. Confidence in your own ability, a team player & a strong work ethic. In our organisation, continuous learning and personal development are encouraged. As part of my role, I attend training workshops on a regular basis which are facilitated by our learning and development team. We also have access to an online academy where there is a library of courses available at our disposal. Work experience in an office environment, preferably within the financial sector will be of benefit but not a necessity. I believe that if you have the right attitude and put the work in, the knowledge, systems and skills can be taught.